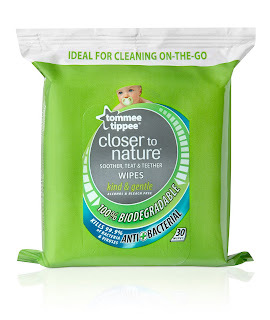 We have been trying out the new range of hygeine products from Closer to Nature by Tommee Tippee. To me, the fact that Tommee Tippee are branching out into such things as sterilisation fluid, hand sanitiser and surface spray shows that they are really serious about becoming the UK's biggest all-round baby brand that covers all bases! As you know, Lara has been teething a lot lately so we have been using a Gumigem teething necklace for her. Having packed away our steam and microwave sterilisers months and months ago, I hadn't yet really sterilised the teether, just given it a quick blast under the tap if it got dropped on the floor. I'm now able to use the Closer to Nature Soother, Teether & Teat wipes to clean the teether when it gets grubby. They are 100% biodegradable (we like this) and kill 99.9% of bacteria and germs (we like this too), there is no need to rinse things after you've cleaned them with these wipes which means that they're great to have on hand when out and about (I like to use them to clean the tops of Lara's beakers when they've been in the murky depths of the changing bag). My favourite product from the new Close to Nature hygiene range is the hand gel. Before I became a mum, I used to keep a bottle of hand sanitising gel in my bag at all times (I started on my honeymoon in Africa where taps and soap weren't always on hand when travelling). When I was in hospital after the birth I was put off alcohol-based hand gels because the paediatrician on the ward pointed out that if I washed my hands with alcohol, then put my fingers in or around my baby's mouth, I might as well be offering them a vodka and coke! 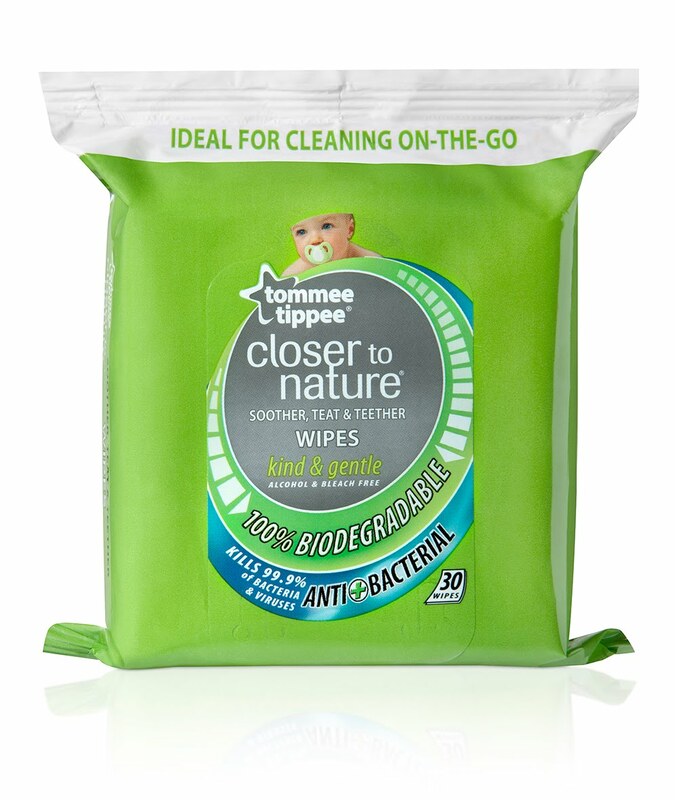 The Closer to Nature hand gel is alcohol free and is safe for use around babies and children. I found it to be effective and quick-drying. It smells good too and doesn't knock me out from fumes when I use it! Other products in the range include a surface cleaning spray, great for using in and around the house... and a cold-water sterilising fluid which would have been a life-saver on holiday with Lara when she was a baby (we used to take our steam steriliser with us wherever we went!). All of their bacteria-beating products are made with a product called Byotrol which doesn't kill bacteria by poisoning them with chemicals, but instead is a lot milder, less toxic to animals and humans and is generally a safer, more gentle biocide than bleaches and disinfectants.